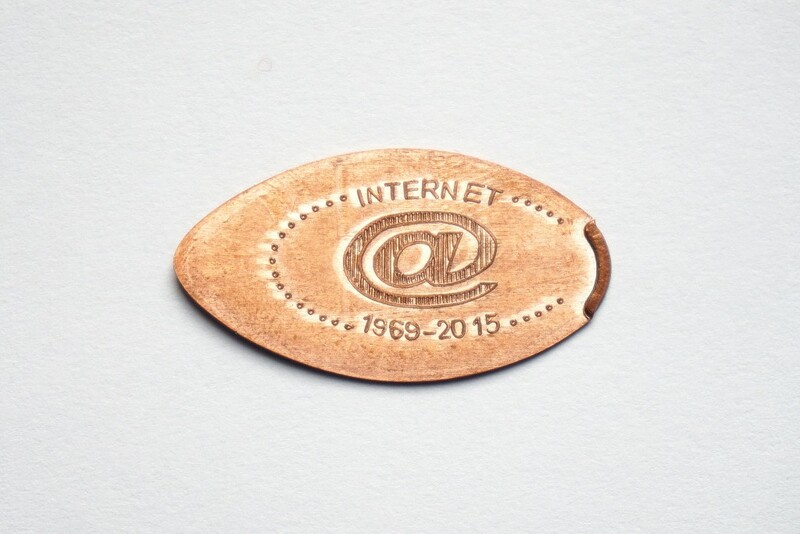 Get your souvenir of the Internet! 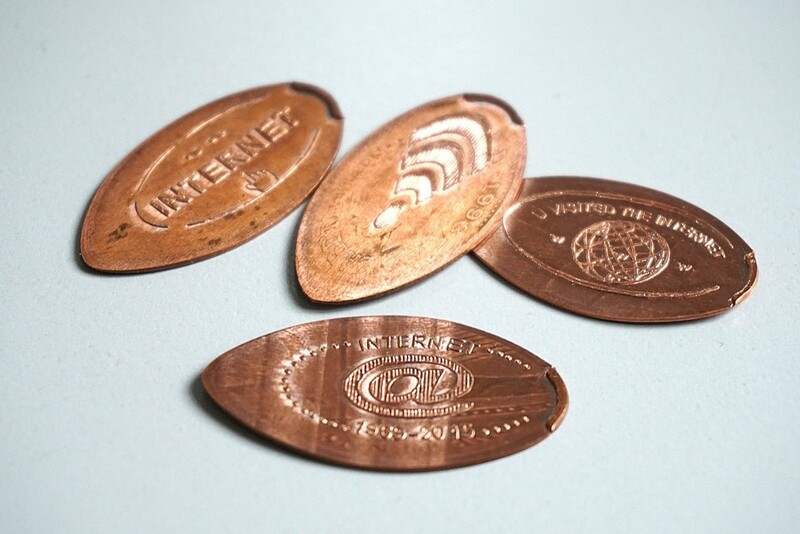 A classic, hand-cranked penny press machine produces elongated coins in four different designs, each a stereotypical icon representing the Internet. 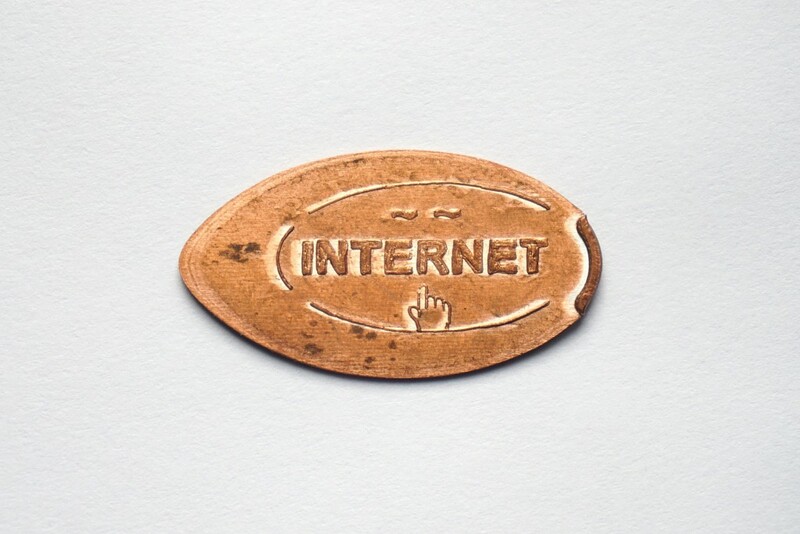 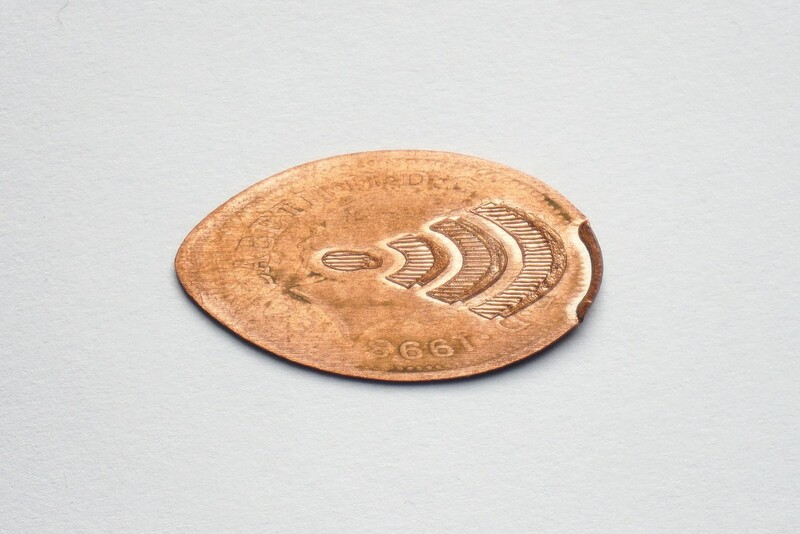 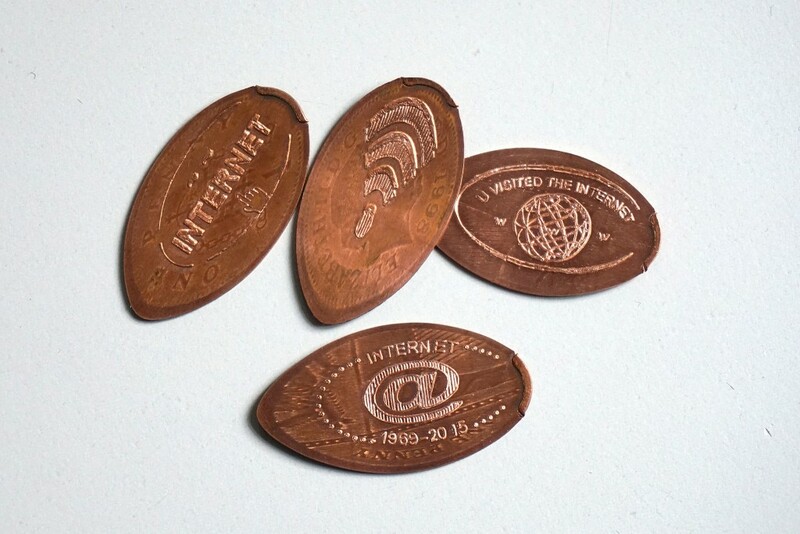 At the cost of one British pound and some elbow grease, visitors are invited to destroy a penny and create, in a small ‘performance,’ the Internet as a souvenir token. 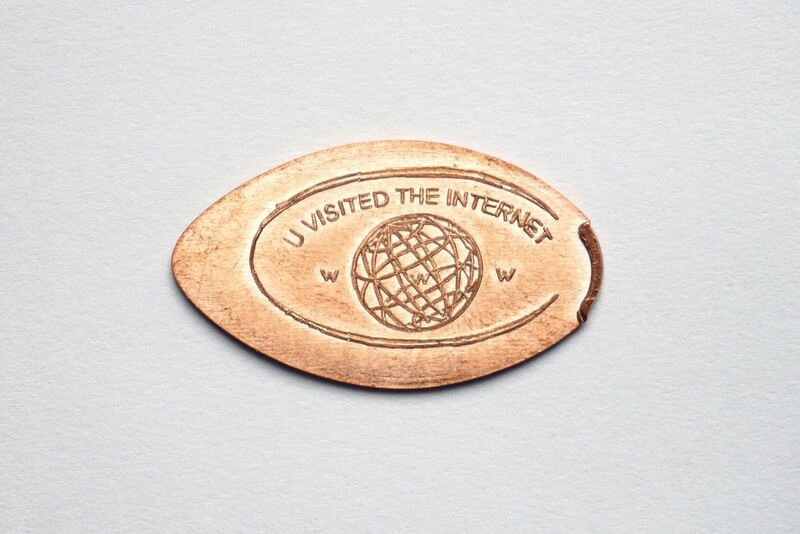 The @ sign, the globe and the wifi symbol are reminiscent of an earlier Internet era. 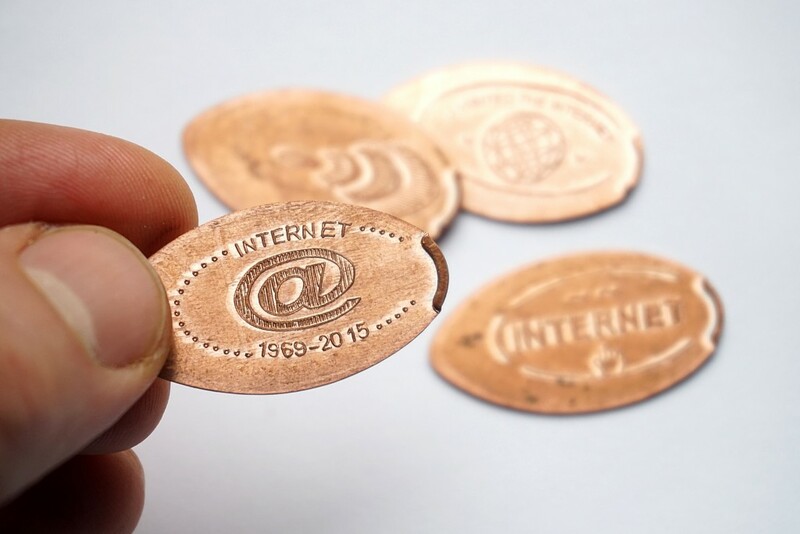 The Internet is not a place; it has now permeated every aspect of our lives. 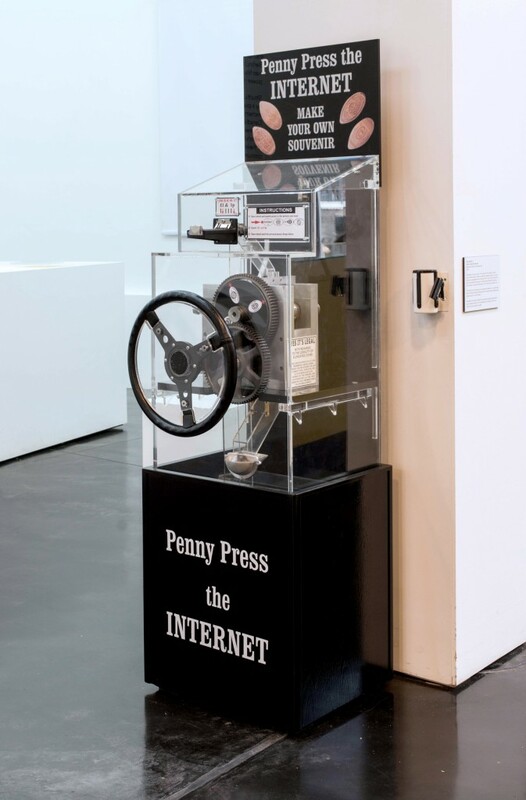 ‘Penny press the Internet’ historicises the Internet and at the same time questions its current status.